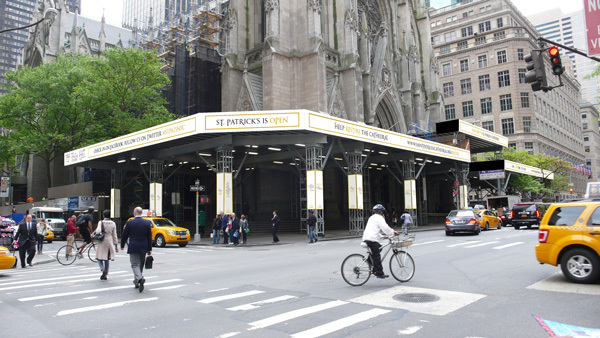 In honor of St. Patrick's Day today, a preview of some work by the firm for the New York City landmark of the same name: St. Patrick’s Cathedral, the “mother church” of American Catholics and perennial New York tourist favorite on Fifth Avenue, is undergoing the restoration project of a century. C&G Partners has worked with the Cathedral for more than a year to help turn the scaffolding, darkened spaces and construction into a once-in-a-century opportunity to visit a national treasure behind the scenes. A new, highly visible and clear branding system of white, gold and black was created using classical letterforms in a new way, and every form of communication was put into play. Here are just a few of those examples. 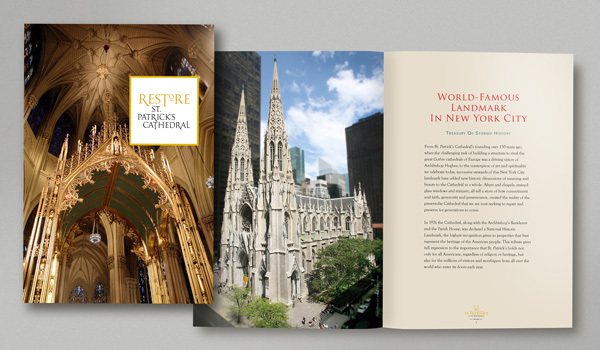 The project included signage, video, an audio tour, printed materials, a website and social media. 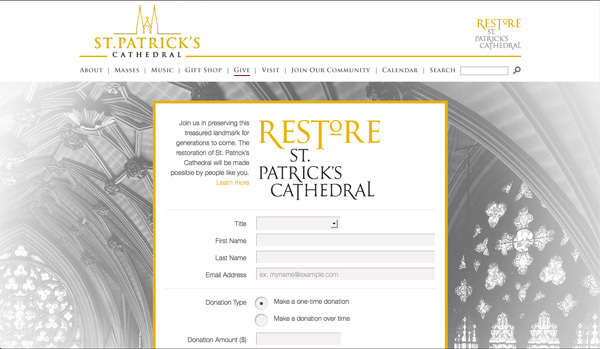 As a result, contributions on-site went up despite the construction, and membership and donor involvement improved.